There's growing evidence that one aspect of surgery could be contributing to the massive epidemic of Alzheimer's disease. Even simple out-patient surgeries can contribute to the problem. And conventional medicine has little to offer. But a new study shows how you can avoid this devastating side effect if you must have surgery. 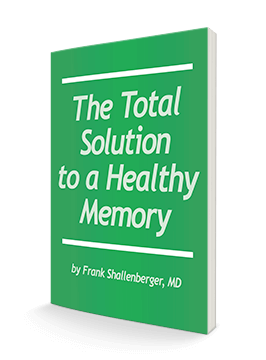 For many years, doctors have noticed that certain patients experience a loss of memory after surgery. They thought it might be due to a lack of oxygen during surgery. But a study out of the Massachusetts General Hospital in 2007 said it might not be a lack of oxygen, but the anesthetics used in the surgery. The researchers in this study applied isoflurane (a common anesthetic) to nerve cells in a laboratory. When they did, it dramatically increased the levels of the enzymes beta-secretase (BACE) and gamma-secretase. The protein caspase also increased. All of these play a role in damaging healthy cells in the brain. Then, in another study, these same researchers confirmed these results in living animals. In this study, they exposed mice to isoflurane gas. The dose was scalable to what humans would receive for surgery. Then the researchers examined their brains 2, 6, 12, and 24 hours after the exposure. After six hours, they found that the mice had elevated levels of caspase and BACE. After 12 hours, caspase levels remained high and BACE levels had continued to increase. After 24 hours, caspase levels were back down to normal. But the levels of BACE were four times higher than normal. What's more the amyloid-beta levels had risen as well. The researchers didn't observe any of these changes in the control group. Lead author Zhongcong Xie, MD, PhD, said: "These are the first in vivo results indicating that isoflurane can set off a time-dependent cascade inducing apoptosis [cell death] and enhanced levels of the Alzheimer's-associated proteins BACE and A-beta. It's looking like isoflurane may not be the best anesthesia to use for patients who already have higher A-beta levels, such as the elderly and Alzheimer's patients." Another study confirmed his concerns when it found a direct link between general anesthesia and Alzheimer's in people over 80. However, it's not just the elderly and Alzheimer's patients who are at risk. Further studies in humans also found that when people under the age of 50 had general or spinal anesthesia, there was a direct correlation to Alzheimer's onset at a younger age. So what can you do? The answer came in another study. This study found that anesthesia caused a significant rise in inflammatory biomarkers after surgery. This inflammatory response is likely causing elevated levels of other chemicals that are damaging the brain. 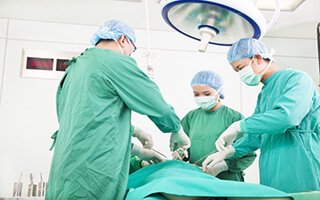 "We have long sought a clearer picture of the true impact of anesthesia and surgery on the central nervous system," said study author Dr. Roderic Eckenhoff. "Although not definitive, this human biomarker study gives some credibility to the notion that anesthesia and surgery produce an inflammatory insult on the brain and accelerate chronic neurodegenerative diseases like Alzheimer's." This is the first time we've seen clear evidence that inflammation caused by anesthesia could be a potential cause of Alzheimer's disease. The anesthesia is causing injury to your body beyond the actual surgical procedure. And it can destroy your brain. The great news here is that we know how to control inflammation. If you must have surgery, talk to your doctor about taking Reduloxin prior to and after the surgery to help keep inflammation in check. The nutrients in this formula may help prevent the injury from occurring. And, if it does, it could help you recover faster without a higher risk of Alzheimer's.